As an eCommerce optimization company, we're fascinated with online shops. We've seen thousands of stores that sell anything you can imagine with varying levels of emphasis on design and optimization. Today we've decided to share some of the most beautiful food sites we've seen because... well, we love food (who doesn't?). Online food stores face their own set of unique challenges in acquiring customers and creating on-site conversions, and we'll outline some creative ways these shops are achieving results. If you're a cheese lover, you'll love this brand! Critics call it the world's best cheese. Lucky for you, this Greenwich Village gem (since 1940) is available to those outside of New York too. 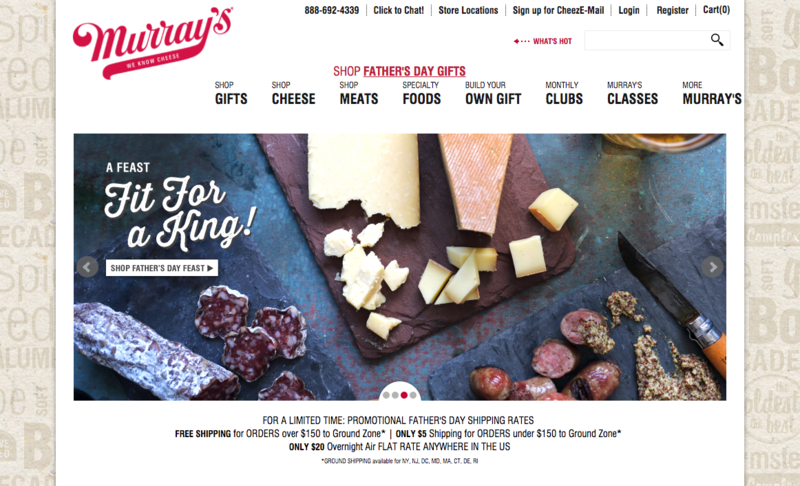 Murray's takes advantage of seasonality as a conversion tactic focusing on the upcoming Father's Day holiday by offering not only Father's day packages with discounted rates as well as special shipping rates. On a different end of the design spectrum, we have Goosebumps, who uses all their Web real estate to feature their product with beautiful photos. Minimal use of conversion tactics (like 'New Arrival') should prove even more effective when they stand out on top of the minimalist design and featured food product. 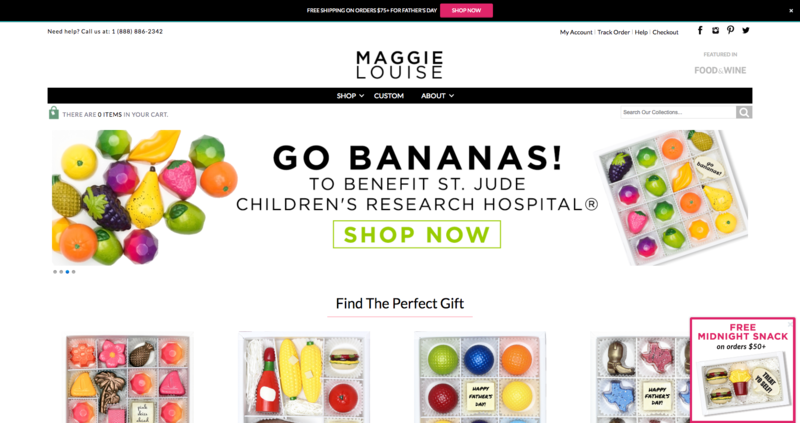 Maggie Louise took over the gourmet chocolate world by storm in 2013 when they launched a shop in Austin, TX that focused on crafting chocolates in fun and beautiful shapes and designs. Since their start, Maggie Louise has grown its collection of unique confections and has launched a new service where you can design your own chocolates through an interactive Web experience that is unlike any other gourmet chocolate retailer on the Web. Hand crafted, hand made, small-batched indie food. Can you really go wrong? Our favorite things about the website and the brand in general: the products are perfectly displayed, they offer monthly subscription clubs to all kinds of things (everything from cookies to pickles to booze), and they give shoppers the chance to donate to food-related charities! Gluten free everything! Udi's Gluten Free has become America's number one shop for gluten free products. I think for all of you who are gluten intolerant, this site is a dream come true! 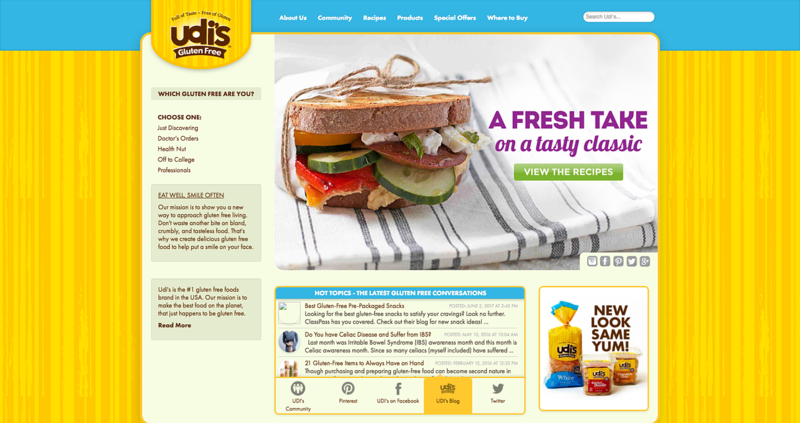 With a great selection of products, easy and user friendly navigation, and beautiful food photography, Udi's separates itself from the competition by staying authentic to a niche and populating the gluten-free message in an accessible way. 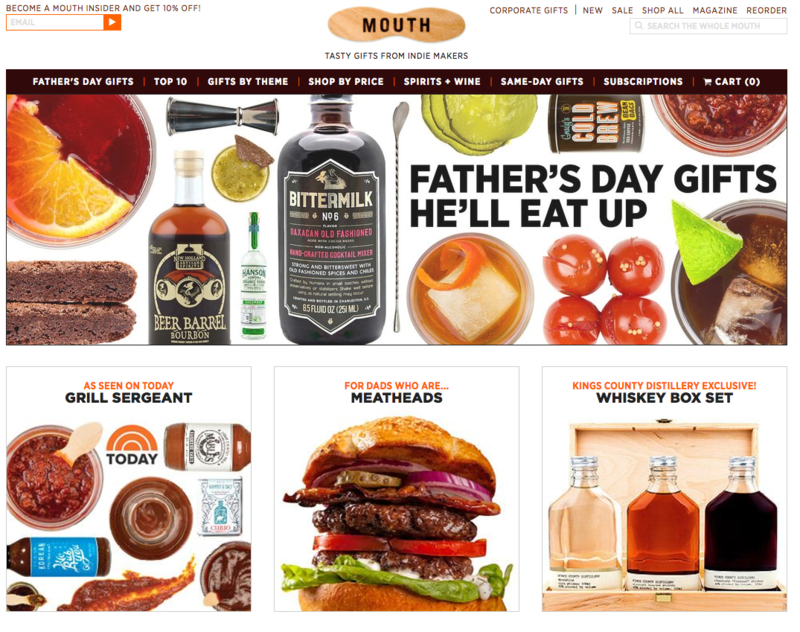 So there you have it, 5 examples of great eCommerce design for food stores. Did we miss anyone? Let us know in the comments!